I was watching Game 1 of the NBA Finals at a party last night, and at the start of the game I did a double take because the players didn’t have the O’Brien Trophy patch on their jerseys. Then I remembered, “Oh, right — they don’t do that anymore. They wear a Finals patch on the back of the jersey.” There’s something very unsatisfying about that — seems like more of an afterthought than a way to mark a special occasion, you know? Yellow journalism: In case you missed it yesterday afternoon, my latest ESPN column takes a look at all the yellow (don’t call it gold) being worn by the four teams in the NBA and NHL finals, and also has my picks for the best yellow-centric uniforms ever in each of the major pro leagues. Check it out here. ’Skins Watch: The new season of Unbreakable Kimmy Schmidt, which began streaming on Netflix about two weeks ago, has picked up the cliffhanger storyline from last season regarding the ’Skins name (from Mixed Media). Baseball News: SB Nation has been running a day-by-day look back at the White Sox’s 1917 season. The entry for May 30 included an intriguing note about the team’s plans to introduce a new road uniform during a June road trip: “During the eastern trip the Sox will treat the seaboard fans to something entirely new in the uniform line. It was one of Comiskey’s teams that was first to get away from the long-endured blue road uniforms. Gray was substituted. A tan, something a few shades lighter than the olive drab of the army, is the newest thing.” None of the historical databases show the Sox wearing a “tan” road uni, and none of my usual go-to sources had any insights. Maybe the new uni was never introduced after all (from John Exby). … Here’s an animation showing the evolution of the Tigers’ “D” logo over the years. … Why do the Nats have an old cow femur in their clubhouse? For bat boning, of course (from Mike Rosenberg). … Ya ever think that maybe Indiana is taking the candy-striped thing a little too far? … Here are the logos for the various minor league all-star games (from Chris Cruz). … Mets C Travis d’Arnaud doesn’t always use his own bat. 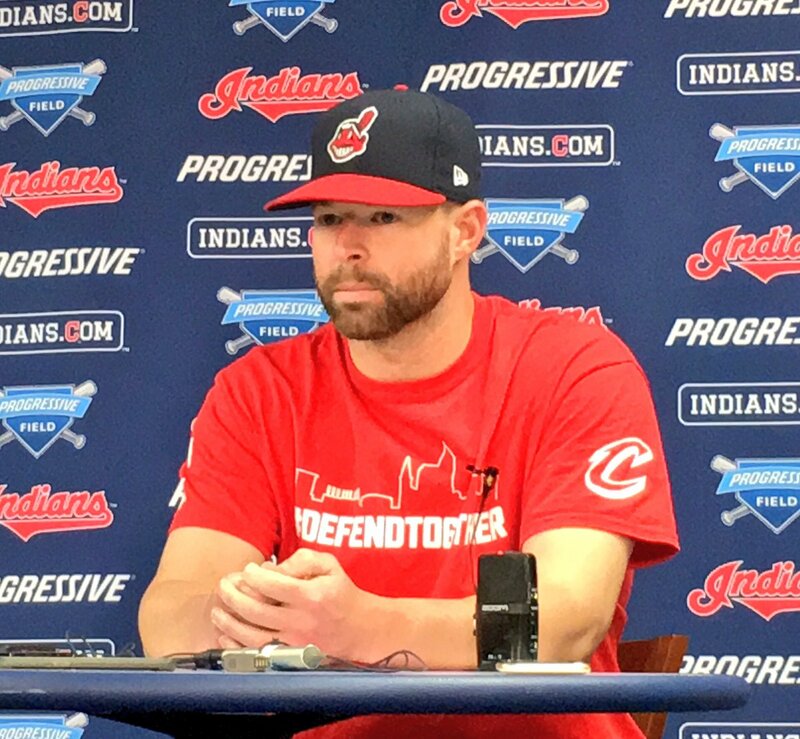 … Cleveland players showed solidarity with the Cavs yesterday by wearing “Defend Together” T-shirts, with their own team logo on one sleeve and the Cavs’ logo on the other (from Tyler Barry). NFL News: Lions QB Matthew Stafford has been trying out a Riddell SpeedFlex helmet. .. .So has Steelers QB Ben Roethlisberger. Interesting that they didn’t cut the striping tape on his helmet — the Steelers usually do cut the tape (and the helmet numbers, once they’re added). 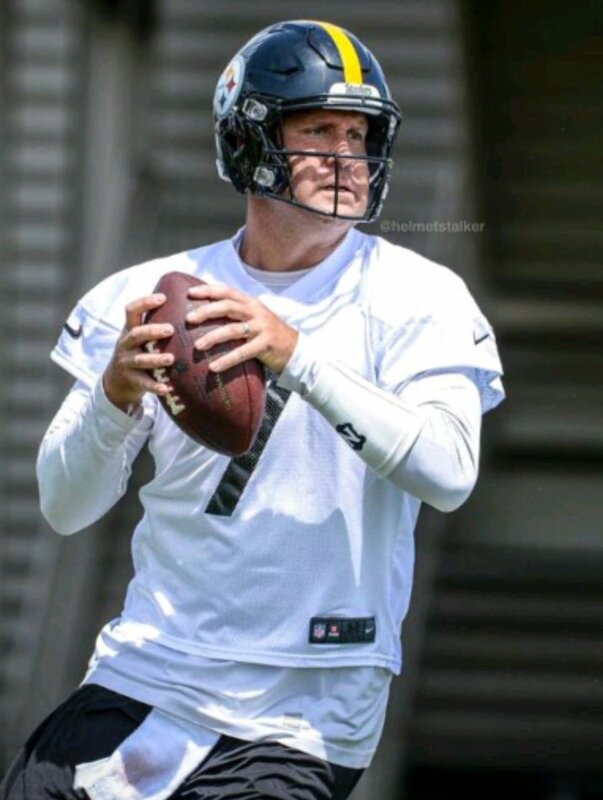 You can see a team-by-team breakdown of how the various clubs handle the striping on SpeedFlex helmets here (Roethlisberger photo from Kris Salmons). … The 49ers are adding a ring of honor and some other history-minded details to their stadium. Additional info here (thanks, Brinke). College Football News: A 1909 game between Minnesota and Chicago (which at that time was in the Big Ten) had a lot of potential confusion, because the teams both wore maroon. So both teams made some uniform modifications to help distinguish the two squads (thanks, Phil). … This article about financial problems at the U. of Nebraska-Omaha features a list of potential cost-cutting moves that the school is considering, including this one: “Limiting teams to one new uniform annually, with no special pink-out or camouflage uniforms for breast cancer awareness or military support. UNO says some teams didn’t get new uniforms this year, and that it had no specialty uniforms and hasn’t ‘for some time. '” Makes you wonder how much the uniform outfitters charge for the special-occasion unis (from Chris Bisbee). … Auburn has a new design for its game balls, with a tiger eye motif (from Tyler Till). … New turf design for Northern Iowa (from Austin Roy). … New blue turf for Luther College (from Aaron Richards). NBA News: The Grizzlies’ new D-League G-League affiliate will be called the Memphis Hustle. I kinda dig the lowercase-lettered logo. … The Pistons are close to announcing a uniform advertiser for next season (from Erik Kissel). … This is pretty cool: an oral history of the Suns’ sunburst jersey design (from Tom O’Grady). … Steph Curry wore a new signature sneaker for Game 1 of the Finals last night (thanks, Brinke). College Hoops News: New 50th-anniversary logo for Purdue’s arena. It’s not yet clear if they’ll be wearing it on their uniforms, or if it’ll be on the floor, or what (from Jeff Demerly). Soccer News: New away jersey for Benfica (from Mike D). … New ball design for the Premier League. … Tottenham’s new kit has leaked (from John Muir). … So has Chelsea’s (from Chris Cruz). … And Southampton’s (from Ryan Keberly). … You can now buy Minnesota United-themed beer. Additional info here (from Zach Kindt). Grab Bag: Updated graphics for the National Hurricane Center. … Thanks to a variety of trends, purple grocery products are on the rise (from JLS). … Cal’s new deal with Under Armour is now officially in effect. No new uniforms yet, but here are some logos and identity background. Expect to be hearing a lot about the Sather Stripe in the weeks and months to come. … Great article/video about the awesome hand-painted signs routinely found at Chicago grocery stores (big thanks to Nicole Haase). … Cricket news: The ICC Champions Trophy tournament is starting, which means country names replace the sponsor advertiser names on the jerseys. … Here are the Indy car liveries for this weekend’s Detroit Grand Prix (from Tim Dunn). You know we are living in bizzaro world when it is news that a college team is only going to have one set of uniforms. More and more teams going that way. How do you establish brand identity with 80 versions of your brand/uni? Hold everything: I thought the quid pro quo of having the maker’s mark slathered all over the uniform was that you got them free of charge. Was I misinformed? Just for clarity,the 3rd season of Unbreakable Kimmy Schmidt released May 19, 2017, not today. And having watched it over the past week, the resolution (maybe?) to the Redskins name was pretty funny. Ah, crap — didn’t see the date on the story. Will adjust text now. I’ve never seen the show, but blonde haired, blue eyed Jane Krakowski’s character is Sioux? I hope that’s absurdist humor. The show explains her background. That hand-painted sign story is amazing. No stencils! Thanks for the link, Paul! The video is amazing to watch, right? Yeah! It was mesmerizing to see them work. Fun to do as well, another lost art coming back (one hopes) in style. Holiday lettering and graphics for SoCali supermarkets / Car Dealers got me through some cash strapped times back in the day. A “digital” ring of honor for past Niner greats? Greatness or anonymity, all with the touch of a keyboard. Nothing is permanent anymore. The cynic in me says that makes it easier to airbrush out anyone who later does something inconvenient. The cynic in me says its so that they can also use it for in-stadium advertising. Does anyone else find it funny that Auburn is suddenly using tiger eyes as a design element when another team in their conference has used that as a major design element for several years now? I thought they were the War Eagles! Too many Tigers, not enough Commodores. Also quite unsatisfying to not have the NBA Finals logo on the court during the NBA Finals. Count me as a fan of the ’70s-inspired graphics of the Memphis Hustle, too. Glad to see the 1978 Padres getting some love in your ESPN column. A “This Week in Baseball” highlight from early in that season showed the Pads turning a round-the-horn triple play against the Braves in Fulton County Stadium. It was a work of art under the lights, and the only flashes of white in San Diego’s uniforms were the shoes and All-Star patch. Seventies baseball at its finest! That sounds an awful lot like the star-spangled uniforms the Sox wore during the 1917 world series. Especially since the standard grey road for 1917 only used blue. Is it possible that they actually brought out the star-spangled design months earlier? The US entered WWI in April 1917 so a patriotic design this early in the season would be plausible. More interesting stuff. According to the captions on these images the Sox wore the star-spangled design in New York during the world series. All the images that supposedly were taken in New York show the Sox wearing blue caps. By the same contrast, photos showing the Sox in star-spangled uniforms with white caps are labelled as being in Chicago. Conjecture: The Sox had a road version of the star-spangled design. Either it was grey or drab or cream but it was distinct from the home version somehow. Maybe they just switched caps. Moreover, they broke out this uniform and the home uniform much earlier in the year. I wonder if the logo will be the 1917 style, or a star spangled rework of the modern one. Well the article quoted was from May 1917 so it’s referring to the 1917 logo. D’oh! Lord help me, I’m just not that bright. 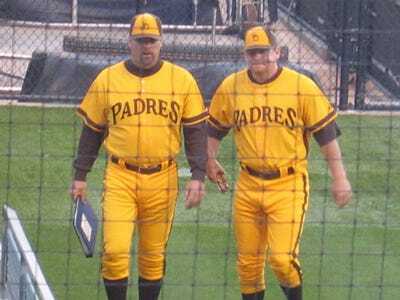 Paul, how’d you miss the obvious all-mustard Padres unis in your yellow article? 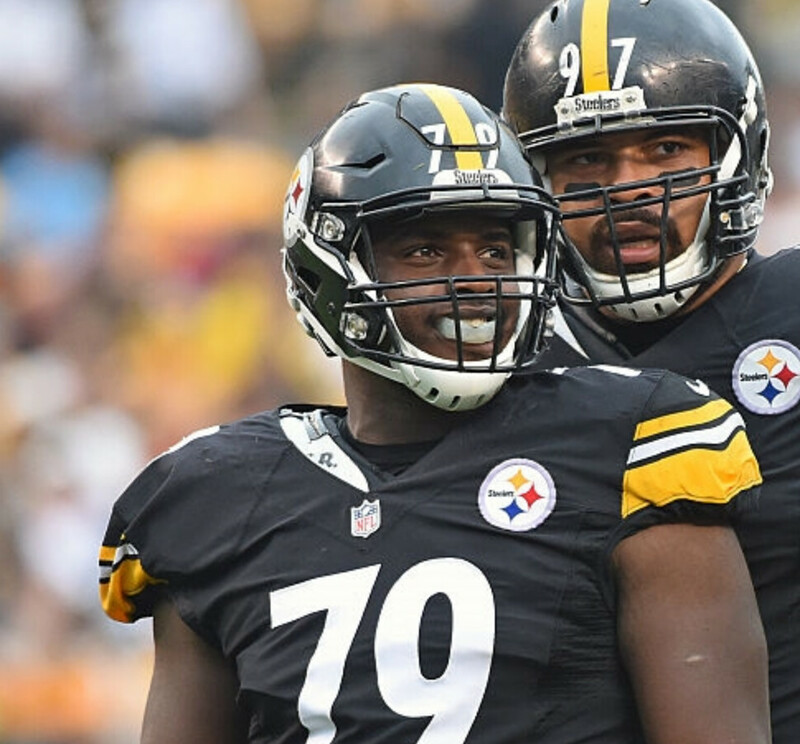 They can’t all be winners; the Pittsburgh Steelers didn’t make the cut. My favorites – the 1982 Canucks – aren’t on the list, either. I didn’t miss it. I just don’t think it’s one of their stronger looks. I singled out the 1978 design because I think it’s a really good use of yellow. Remember, the list wasn’t about the *most* yellow; it was about the *best* yellow. I should buy a toy bone from the pet store so I can bone my wiffleball bats. I would laugh pretty hard if I saw someone do that. THE SCHOOLS PAY FORMTHEM???? I thought formsure they had to wear those monstrosities since nike or ua paid them too. The schools not only choose to do it but pay??? Joe Ross: Funny old world. Susan Ricci: Funny old world? Dog my cats! Joe Ross: Dog my cats indeed. Depends on the school. Some get paid to wear a particular brand, and get free merchandise up to a contractually-set amount every year. Others are allowed to purchase at wholesale or some other cut rate. Seeing Tiger Woods wearing the Nike swoosh in arrest photos made me laugh out loud.